Do you remember the first day of your first job as a practicing physician? As you reflect on the distance you’ve traveled from “Dr. New” to the physician you are today, it’s a good time to discover how physicians can reinvigorate their career and continue to chart your satisfying journey as a physician. Are you experiencing stress and burnout on the job? It’s natural but not necessary. Numerous studies indicate that at least half of physicians report burnout. So, it’s important to explore which aspects of your day trigger stress. Sometimes, simple adjustments to your home or practice routine will help. More dramatically, professional coaching or taking a restorative sabbatical may be just what the doctor ordered. But if the issues causing stress are systemic in your workplace and outside your control, it may be time to explore an organization with a culture that better fits your professional (and personal) needs. Many hospitals and practice settings are offering better office team support, less paperwork and more time with patients, concierge services, flexible scheduling or job sharing. Compensation models range anywhere on the spectrum from fee-for-service to value-based/risk payment arrangements, and the marketplace has evolved since you started practicing. Years later, is your compensation plan aligned with the way you like to practice and the patient base you enjoy taking care of? Are you being paid for administrative work that comes with the job? Now is a good time to ensure that your compensation and incentives are aligned with the nature of the work you do and keeping pace with the value you deliver. Physicians are quarterbacks of the care team, so you bring your leadership skills to your job daily. However, most hospitals and clinics have formalized programs to engage physicians in leadership roles. There may be opportunities to partner with an operational leader as a “dyad team” to work on solutions to improve safety, quality, access or patient experience. 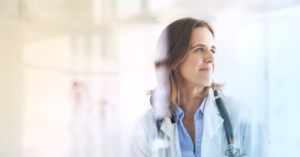 Explore a leadership career track, and you may be energized by the influence you will have on the quality of care beyond the patients you see every day. It may be time to ask yourself: why am I here? That’s not an existential question – it simply means: do the reasons you started your practice in this community still apply? Perhaps your spouse’s career is no longer dependent on this location. Maybe you have young children now, and you need a community closer to your support system, with schools and activities that work for families. Perhaps you need to shorten your commute or stretch your dollar where the cost of living is lower. Take a moment to re-assess your original choice of location, and you may realize that the location perks you moved for are not perks you need now. Physicians universally identify professional and personal referrals as the top source of new job opportunities. Today, networking has become a nearly seamless process through social media. Facebook, LinkedIn and Doximity represent the wide spectrum of networking tools to reconnect with medical schoolmates, residency colleagues and physicians in your specialty in other parts of the country. Professionals you meet through conferences, alumni clubs and specialty groups can also open doors. Ask them what they love about where they work and live. Reassessing your current practice and looking at new opportunities can be daunting, especially if you want to fly under the radar. That’s where an experienced physician recruiter can help. They understand the current trends in practice models, and how compensation and benefits that have evolved since you last looked. A trusted recruiter can also offer you the objective ear, discretion, access and anonymity you need to begin exploring excellent client organizations and locations waiting for you to discover. For additional insight and ideas, visit Jackson Physician Search and explore opportunities.